When it comes to something as important as the drain field on your property, you should only trust such an installation to the experts. There are some things that you should know about drain field installation in Arlington before hiring anyone for the job. Having a property where hookup to the local sewer system is not available will mean having a septic system and drain field installed for all of your wastewater removal and treatment needs. There are several factors that the professionals will have to take into consideration when putting in your drain field. Size – It is important that your installation contractor has the information necessary to come up with the right size drain field for properly accommodating the needs of your family. The minimum size will have to be installed based on the number of bedrooms that you have. Location – There will also be code regulations that dictate the location of your drain field, however, there is a bit of wiggle room to pick out an area that is safe for a high-quality installation. This is the time to talk about any future improvements that you may have in mind, including your landscaping, a deck or patio, just to be sure that the drain field will not be in the way. Soil Composition – The soil for your installation should be able to accommodate for proper drainage. This is import to make sure that the wastewater is not going to make way up to the surface and that it drains properly into the surrounding soil. Drain field installation in Arlington is best left to the experts. 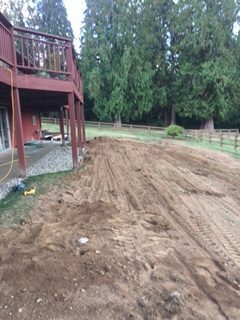 We can help at Superior Septic Services, so call us today at (425) 905-2485.